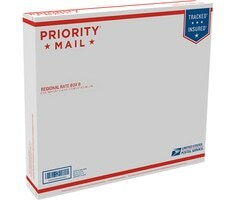 What are Priority Mail® Regional Rate Boxes? 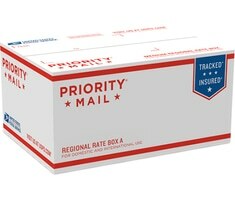 Offered by the USPS®, Priority Mail Regional Rate Boxes are a low-cost shipping alternative for customers who purchase and print shipping labels online. Regional Rate Boxes provide shippers with a low cost mail class for packages traveling short distances. Pricing for Regional Rate Boxes is zone-based. There are 9 zones in the U.S. and the rates are based on the distance from the original package location to the delivery destination. Swipe right to see entire table *Additional $2.25 for Zones 1–4 or $1.00 for Zones 5–9 if Regional Rate package deposited at Post Office. Only USPS-produced Regional Rate Boxes qualify for Regional Rate pricing. Shippers cannot use their own boxes and receive the discounted pricing that the mail class provides. Also, Regional Rate boxes cannot exceed the maximum weight limit for the box type. If the box exceeds the maximum weight limit, regular Priority Mail weight and zone prices will be apply to the entire shipment. 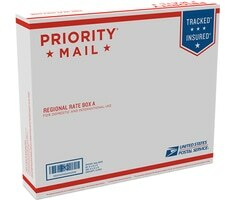 Easily Print Priority Mail Regional Rate Shipping Labels: Stamps.com customers can easily print Priority Mail Regional Rate shipping labels. Once the destination address is inputted, the Stamps.com software automatically determines the correct zone-based pricing for your package by instantly accessing the USPS database, preventing you from ever overpaying or underpaying the shipping fee. 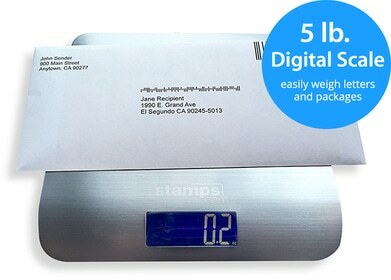 Order Free Regional Rate Boxes: Stamps.com provides an easy method to order Regional Rate Boxes. To order your free USPS shipping supplies, just log-in to your Stamps.com account, click on “Store” and click on “Free USPS Supplies.” The U.S. 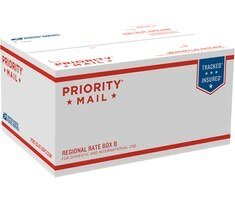 Postal Service® will send the free Priority Mail Regional Rate boxes right to your door!